If you have been researching how to get a website or how to get your business online, then you know that it can be overwhelming! Where do you find the right answers, how do you know what will work for your business, and who can give you the advice you need? Deciding where to start can be the most daunting of all challenges. Do you just go to Godaddy? What is WordPress? How much should I spend? The list of questions goes on and on. 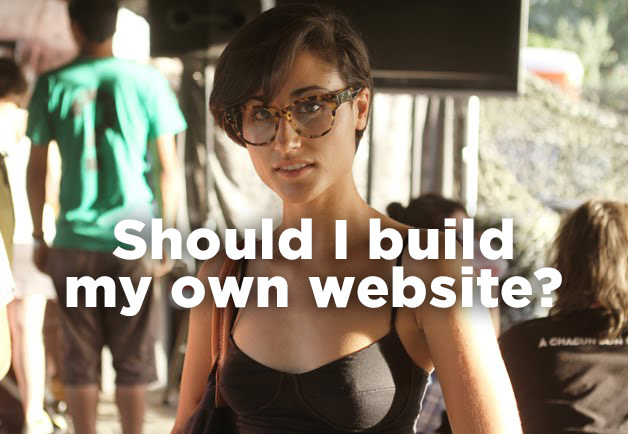 You can break it down into a few simple decisions that will guide you in the process of getting a website. First, how savvy are you with a computer? This is the perfect place to start along with do you have the time to devote to building pages of content. 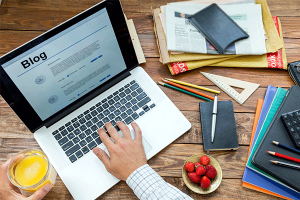 If you can’t set aside the time to write and describe your business that matches how people search for you online, this would be a good indication professional help is needed. Yes, it is easy to claim a domain name and get hosting, but then what? Have you researched all the major website platforms> Do you plan on keeping your site current, blogging, and using it as a springboard to social media? One trend I have seen a lot of over the last two years is this; someone starts their site on weebly or shopifiy, then several months later realizes it isn’t as robust as they need. Or, they have quickly outgrown the stock layouts and the same templates everyone else is using. One of my pet peeves is going to a website that looks like it was purchased off the shelf and run of the mill. This is another area that getting all the info upfront will serve you over the long haul. It may seem out of reach today to spend a little more on your website, but you are saving money when you don’t have to re-do your entire site in 8-10 months because your under estimated the importance of it. Another aspect that needs to be kept front and center is this, your site is the first impression many people will have of your business. You have less than 10 seconds to grab a visitors attention and get them to interact. Does you website fill the bill? Do people who click on your site feel compelled to do business with you? That is where a correctly designed funnel or “road to the sale” comes into play. You site should be built to drive people to take the next step in the sales process. Your main goal is to get conversions, having visitors call, click, or buy right on the spot. Having a cheap looking website or one that seems outdated is a quick way to drive customers in the opposite direction. Think about how you use the internet, what was the last website you came to and quickly hit the back button? It happens all the time. This not only hurts your chances of getting a sale, but actually hurts your overall search engine rankings. 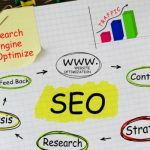 Search engines will see visitors who visit your site and quickly leave as an issue that the info on your site is not relevant to what people are looking for. 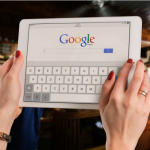 Remember this tidbit; the search engines main objective is to return results that are most relevant, recent, and close in proximity to location of the searcher. Is your website cheap looking? Having relevant content is a cornerstone of web traffic and the reason why key word stuffing or “gaming” the system no longer works. The search engines are to evolved and smart. 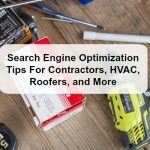 They can tell when a site is poorly constructed, filled with spammy or copied content, or does not match what the intended search terms are. Think of this example. Remember over the last several years when you arrived on a website and the bottom of the page was stuffed with every city and town within 100 miles as the companies “service area”. Well fast forward to today and that will actually get you penalized with Google. Any SEO person who tells you that still works or you see them doing that is a goofball and has not kept up with the times. This is also a major copy-cat crime. You go to a few website you found and see how their site is constructed and what they do, you think that must work. So, you build your site modeled after a poor site and never get traffic or a sales lead. You don’t understand why and along comes a competitor and does the same thing. Now you have three bad website populating the internet. All of this goes back to creating content. This is what makes your website get found online and takes the most effort. It’s easy to find beautiful pictures and pick out a nice font, but the time spent writing deep pages of information is money in the bank. This is why business blogging is so important. Hence the fact you even came across my website and landed on my blog. A blog has key components that search engines favor when ranking a website. A basic site built on Godaddy, Wix, or the like will never be able to generate the long term traffic a local business will need to get sales and leads off the internet.